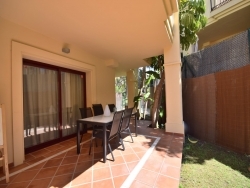 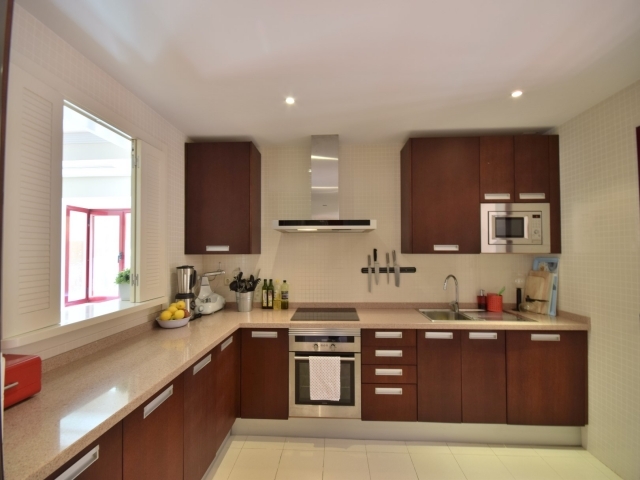 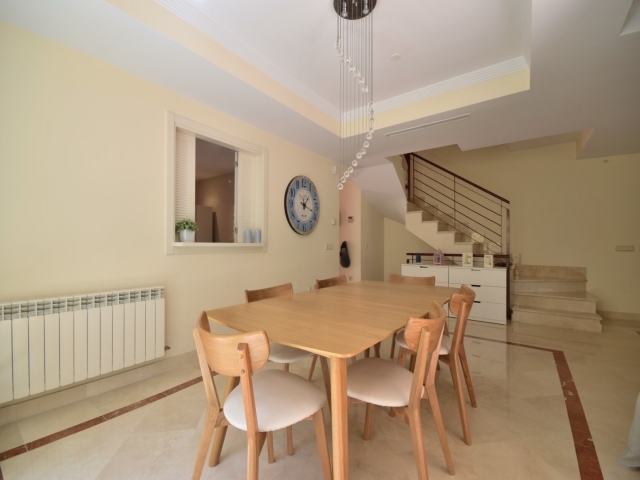 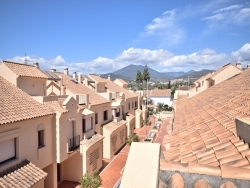 Three bedroom townhouse for sale in Hacienda el Palmeral, Nueva Andalucía. 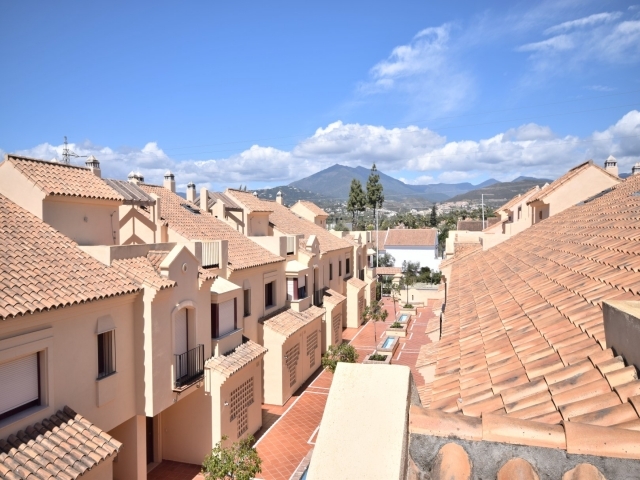 Situated within easy reach of all amenities, including bars, restaurants, supermarkets and schools, the gated community provides a great spot for families with children of all ages. 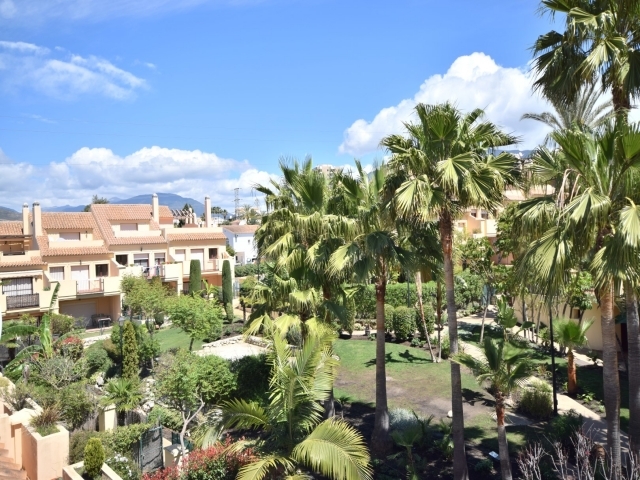 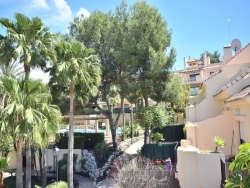 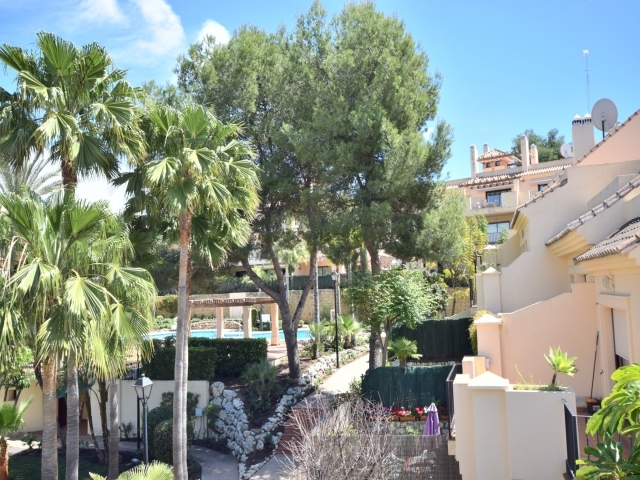 Also close to various renowned golf courses and just a very short drive to the luxury harbour of Puerto Banús and the surrounding beaches. 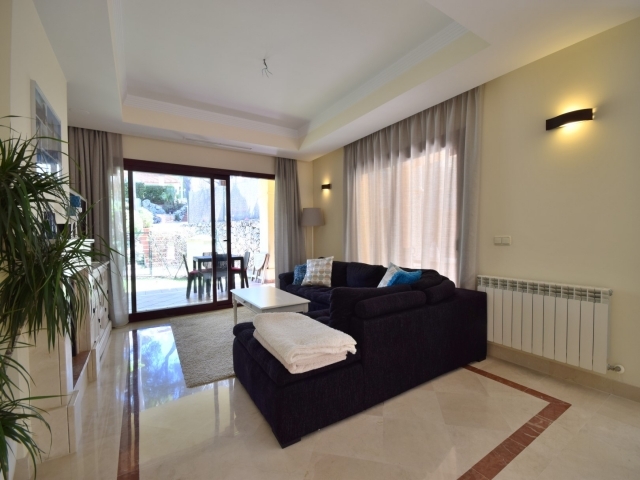 The property offers plenty of space with an open-plan living and dining room with fireplace feature, a spacious kitchen with a little utility room, a master suite, two good-sized bedrooms sharing one bathroom and a guest WC. 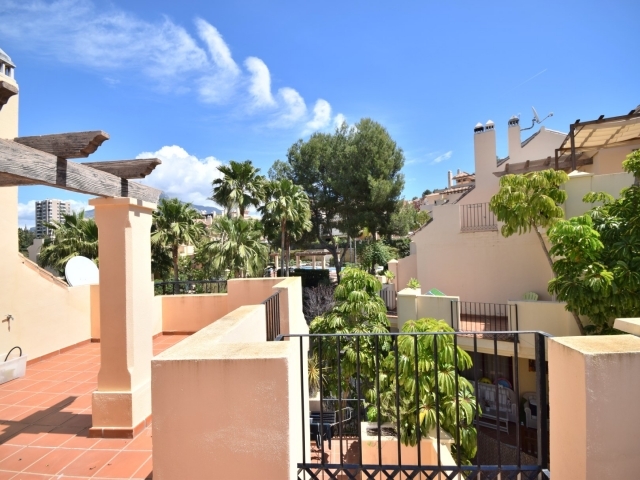 The ground floor terrace has a small private garden and upstairs there are small terraces from the bedrooms, as well as a rooftop terrace. 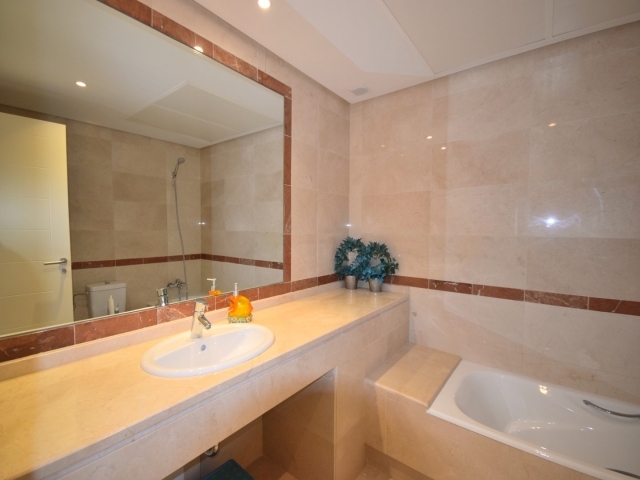 Features include central heating, an alarm system, safe and storage. This is a lovely family home in a very attractive location; close to all amenities yet set back enough from the busy tourist centre to allow for peaceful relaxation.